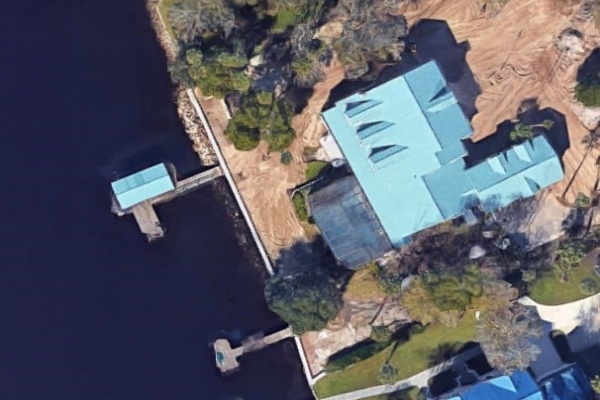 ANAMAR was contracted by a private client to apply for and obtain permitting for the dredging of two boat slips associated with a private dock located along the Intracoastal Waterway in the Tolomato River, Ponte Vedra Beach, Florida. The dredging footprint of the boat slips totals 1,134 square feet and the project depth is -5 feet MLW to allow safe conveyance of private boats in and out of the boat slips. The proposed dredging involves a mechanical (clamshell) dredge on a barge. The dredged material volume is estimated at ≤168 cubic yards that is to be trucked to a private parcel and used as fill material. ANAMAR applied for dredging permits through the Florida Department of Environmental Protection (FDEP) and the U.S. Army Corps of Engineers Jacksonville District (USACE). Applications for an FDEP Exemption Verification letter and a USACE Letter of Permission were submitted in September and October 2018. In addition to the application forms, supporting information was submitted to each agency including design drawings of the dock, a cross-sectional view of the dredging footprint and estimated pre-dredging sediment elevation, a signed authorization by the private landowner for disposal of the dredged material on his parcel, a copy of the land deed for the disposal location, and the permits previously obtained for the dock construction. The FDEP Exemption Verification letter was obtained on October 5, 2018, for the dredging project. USACE is consulting with natural resource agencies for their comments regarding any predicted impacts to endangered species, essential fish habitat, or cultural resources from the proposed dredging.